We are a licensed GROUP home daycare in Marquette, Michigan. and we provide childcare in our home. We are open 7 am until 5:30 pm, Monday - Friday. 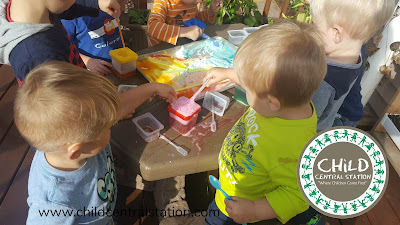 We provide a rigorous play-based emergent curriculum. This means that we play, and we play, and we play! Our philosophy is child-centered and we run with their interests, integrating as many learning experiences as possible into the day. 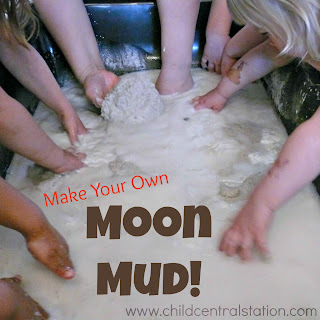 Your child will get muddy, wet, and full of paint on a regular basis! For a better idea of some of our learning experiences you may wish to check out our blog archives! (Please note that this video tour is eons old!!! We have grown, evolved and changed since this video was posted!!! A new video is in the works :) "
call Ms. Amy or Mr. Allan at (906) 225-5594. What are your rates? 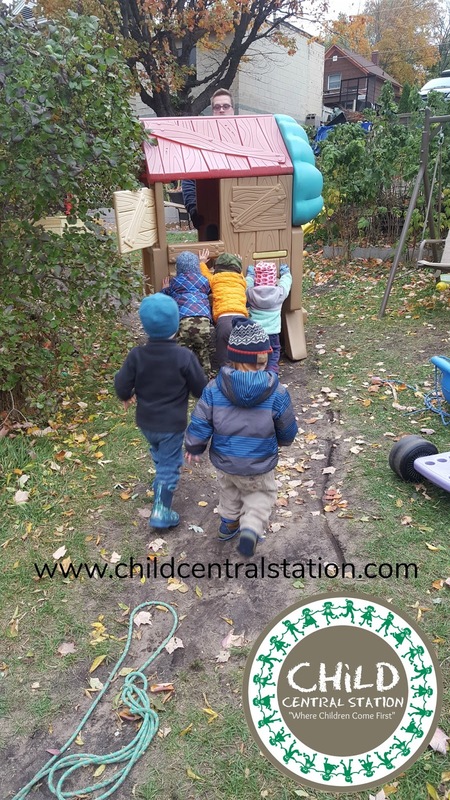 We charge a flat weekly rate of $165 per child 18 months and older, and $184.50 per week for children under 18 months old. Our daily rates are $37 per day for children over 18 months, and $41 per day for infants under 18 months old. Do you take any forms of assistance? Yes! We take all forms of assistance that we are aware of- payments from the Department of Human Services, the Childcare Commitment Program, NACCRRA (for military families), and Tribal Assistance. How many children do you have enrolled? The number of children that are enrolled at any given time varies. However, we are only licensed to care for twelve children at any one given time. Do you charge any additional fees? Yes. There is a $25 enrollment fee. There are also fees associated with late payments ($50) and returned payments ($35). Is your childcare refundable? No, under normal circumstances childcare is not refundable. Am I entitled to any sick or vacation days? No, our clients do not receive any sick or vacation day benefits. Are you open on holidays? Do you take vacations? We are not typically open on holidays and when a holiday does not fall during our vacation it is a paid holiday. We also do take vacation time throughout the year. As a thank you to our clients, we do not charge for our vacations. Do you close at any other times? We do not typically close at any other times. If we do have to close for our own personal reasons not indicated above, the client will be notified as soon as possible and will not be charged for care. Our home is set up to allow us to continue to function if one of us becomes ill, and we are open during snow days. Do you have any children of your own? Yes, our son Dane was born in 2002. Do you have any vacancies? We do not currently have any vacancies, but you are welcome to join our waiting list in the event that a spot becomes available, we will contact folks on our waiting list. Do you provide meals? Yes, we participate in the USDA food program. We serve breakfast, am snack, lunch, and pm snack daily. What age children do you care for? We are licensed to care for children from birth to age 12. Our program focuses primarily on a "toddle on up" age range, but cares for a limited number of infants. (We will only take 1 infant under the age of 12 months per adult, This ensures a lower ratio and enables us to provide for the needs of all of the children. We welcome infants in our care when we have the availability, but availability for infant care is limited due to our lower ratio guidelines). this is really cool. you people are awesome! this is an awesome job. keep it up. these children must have a lot of fun doing all these fun things, you people must be good parents at the same time. :) AWESOME JOB! !